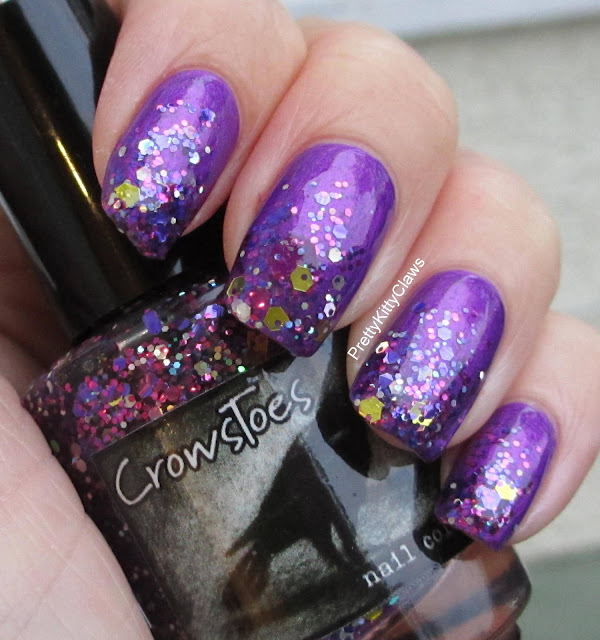 For this mani I started off with 2 coats of Catrice Heavy Metallic topped with a glitter gradient with the gorgeous Crows Toes Cheshire. I chose these polishes because they represent 2 things that make me happy - the Catrice came from a dear friend in my birthday club group and Cheshire, well that's the cat so what's not to love. The are both beautiful polishes although the Catrice was very apt for this mani as it had the biggest brush I have ever seen in my life so I had a lot of cleaning up to do!! 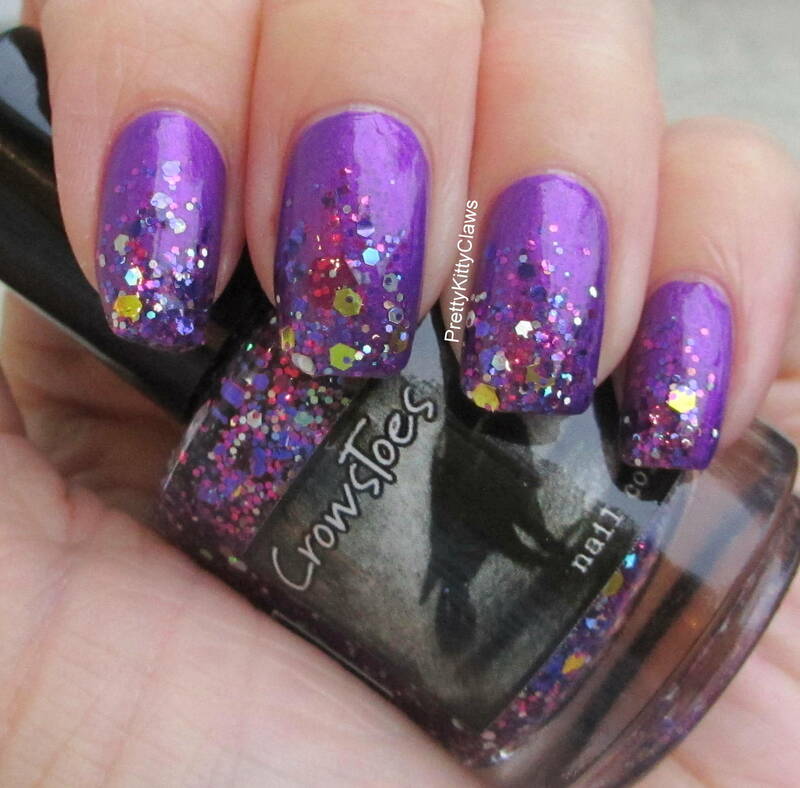 Next time I'm wearing Cheshire over a dark purple or black or maybe even a bright turquoise. 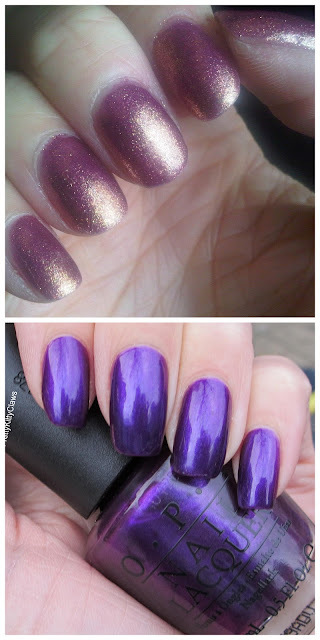 And just to remind ourselves of how far we've come here is a comparison picture of one of the first mani's I took photo's of and one I blogged the other week. I think I've progressed! they all look pretty, thxxx for the support! Beautiful! Thanks for your support!